Yala National Park that was closed for drought for one month re-opened today as scheduled. Until yesterday, there was doubt whether reopening of the park would be be postponed due to threats to the Wildlife Officers following Friday’s shooting that killed a poacher at Yala. Local sources claim the family and close allies of the dead man threatened wildlife officers which subsequently led to deployment of Police Special Task Force (STF) to protect the Wildlife Offices located in Yala and the vicinity. The incident has been an eye opener that poaching is carried out even in the protected areas. The recent incident occurred when Wildlife Officers engaged with a group of poachers at Kochchipathana which is located at the Yala National Park’s buffer zone. It is reported that the wildlife officers opened fire when the poacher tried to shoot at wildlife officers. Two other poachers were arrested. Read the print edition of SundayTimes this weekend for more about the incident and experts’ opinions on how to address the issue of poaching in Sri Lanka. Today, is the traditional New Year of Sri Lanka (celebrated mainly by Sinhalese and Tamils – hence’ Aluth Avurudu’ as it called in Sinhala). Except for the song of the Koel – all the other Nature’s symbols of Avurudu including the crimson blossoms of Erabadu, ripen Kadju Puhulam, Olinda and Panchi games are now getting a rare sight. Likewise traditions related to water has become another set of customs that has been faded away. I still recall my childhood where Avurudu was different than today. It was changing times in early ‘80s, yet many of the Avurudu customs were practiced in my village. With few days to Avuduru our houses have been washed those days as a custom. Mopping with wet broom has become the way to clean your floor nowadays, but the whole house has to be washed by water before the Avurudu on a self-imposed Avurudu ritual of our village community. The floors were either not tiled those days, so washing the whole floor infact meant ultimate cleaning to welcome the prince of Avurudu. The kitchen which was already been heavily used in the making of Avurudu kevili and also a centric piece of upcoming events was the place lots of cleaning required. There were no fancy chemicals available for cleaning that time, so Coconut husks are been used to wipe out the patches and layers of dirt accumulated in the floor over last year. Though it could have been a difficult task for my parents, this ritual of washing the house provided us play time bringing first cycle of avurudu fun. We didn’t have pipe-bourn water on those good old days, so had to use the hand dug water well for all the household water needs. Usually our task was to fetch water from the well and bring them to the house. The well was located about 30 feet away from the house, so we get soaked when the task is still halfway. Sometimes we make nasty throw splashing water all over at the time we had to take a shout from parents. But parents who shout on other days for playing with water are tolerant on getting ourselves soaked, so we enjoyed this watery custom very much. Washing of the house was only the first direct Avurudu ritual been practiced with water, but there were more to come. Soon after finishing the eating at auspicious time brings the ‘ganu-denu’ tradition of doing the first transaction of the New Year. I can still recall I went to our dug well with my father, throw a coin to the well and fetched a bucket of water to mark the ‘ganu-denu’. Few jasmine flowers too has been thrown into water to mark the occasion. 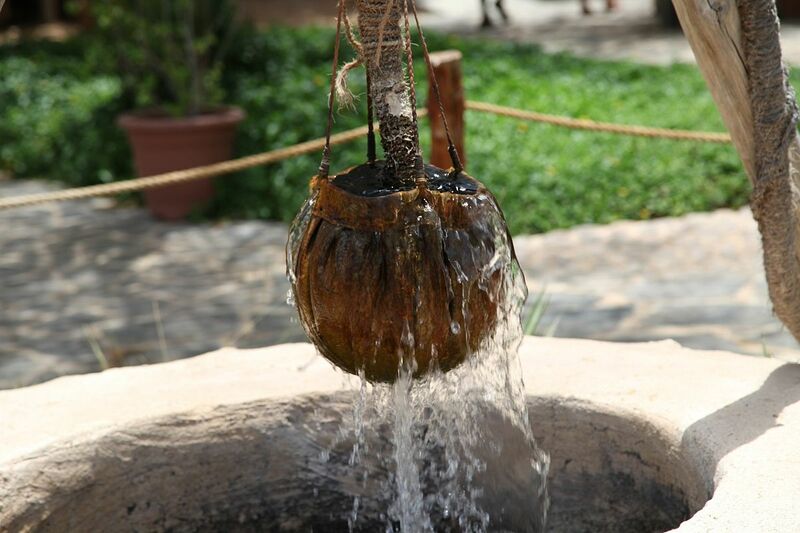 Though mother earth would not expect any payments for the service it rendered, this has symbolized our gratitude to the well which is the most important lifeline that helps to quench all our water needs through. So getting the well too into the Avurudu rituals was a really meaningful tradition. But then, we had moved to Colombo. There were no water well, but we had the luxury of the pipe-bourn water in the city. Last year when made my Avurudu visits to meet relations, I’ve visited our well that has been a center of Avurudu activities long ago. My heart sank seeing the neglected state of water well which was once a lifeline. There were wild shrubs surround it. The petals of flowers and dried leaves seeped through the mesh that has been put on top covering it. There were dengue inspectors looking for mosquito breeding grounds, so my neighbor has put some ‘guppy’ fish who had multiplied in numbers. Our water well just reminded me a retarded, unshaven old man that has been completely neglected. I remember how much we care about the well those days. We used to completely empty the water well during dry season when water is limited and cleaned it properly. The sand in the top layer of the floor bed that contains particles accumulated over the year too has been removed. A freshly prepared charcoal and few jasmine flowers were put down into the well as we believe those had water purification qualities. After this cleaning, the well looked like very clean like giving its annual shave and haircut. I had second thoughts last year that we should do this cleanup again. But neighbor stopped us. “Water in our wells is polluted. So these are now not in drinking conditions” he said. It was found some chemicals from a nearby paint factory have been carelessly released to the bare soil contaminating the ground water. Water wells dug by hand draws water from the first layers of ground water which could be the most affected with pollution. So this should be the case in many areas in Sri Lanka too. Many of us had made the water wells into garbage pits, when pipe-Bourne water reached our houses. It was sort of a marking of the development for and filling-up the well symbolized some sort of a step up of the social hierarchy for many. But there is also some traditional knowledge linked with water wells. Our grandparents knew how to find the best location on their lands to dig the water well. They came to this conclusion by looking at specific plants grown in different areas in the garden. They knew trees like Kumbuk makes the water more purify and keeps water cool. They also knew that charcoal has water purification qualities. And they also had the techniques to dig the ground and make its walls safe. So it is not only the water well that disappears with our change of livelihood. It is whole traditional knowledge too will be lost from next generation. Avurudu traditions moving away from our traditions with water always make a void. So perhaps, Avurudu season could be the best time to pass this knowledge to the next generation – perhaps that could be the least minimum we could do to preserve these changing traditions..!! Environmentalists have raised fresh concerns over the possible increase in the illegal abduction of elephant calves, following the Wildlife Conservation Ministry granting an amnesty period for the registration of wild elephant calves. Environmentalist, Sanjeewa Chamikara, Director of the Environment Conservation Trust (ECT) said in a statement that teams have already been dispatched to the wilds in Habarana and Udawalawe on ground information received by the trust. According to the statement it is believed that more than 30 elephant calves have been illegally snatched from the wild during the last decade. This turn of events were reported after the registry used to enter Elephant registrations had gone missing from the Department of Wildlife Conservation (DWC) eventually leading to the dismissal of the head of the legal division. Reports also claim that the legal division of the DWC has been sealed off by the Police. Subsequently, Director General of DWC, H.D.Ratnayake revealed that the book had been recovered, following which came the grace period to register elephant calves. The Report of the inquiry into the matter of the missing registry is to be handed over to the Minister on September 29. According to a press release by ECT, there are total of 359 domestic elephants registered with the DWC. 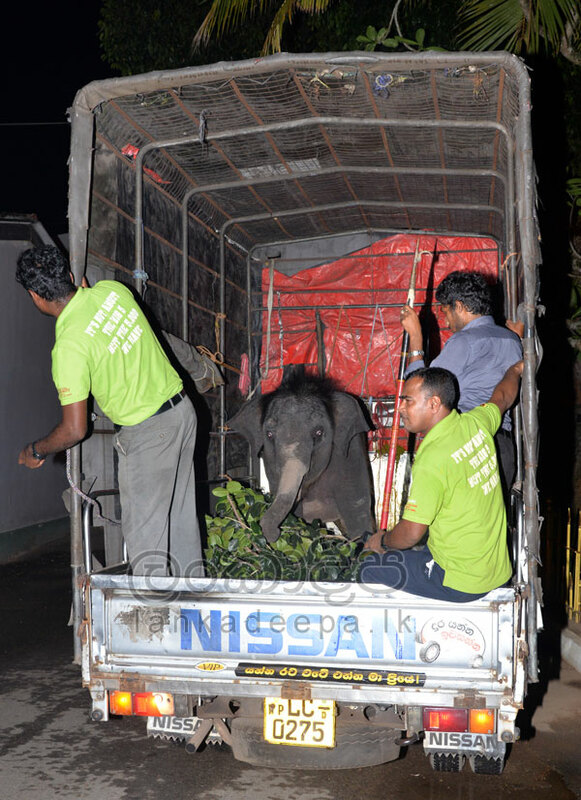 Out of these, 94 elephants are in the Dehiwala zoo and Pinnawala Elephant Orphanage and 60 have died. The statement claims that it is estimated that 205 elephants are the possession of private owners. The government has decided to charge a Rs. 1 million fee for the registration of an elephant calf. 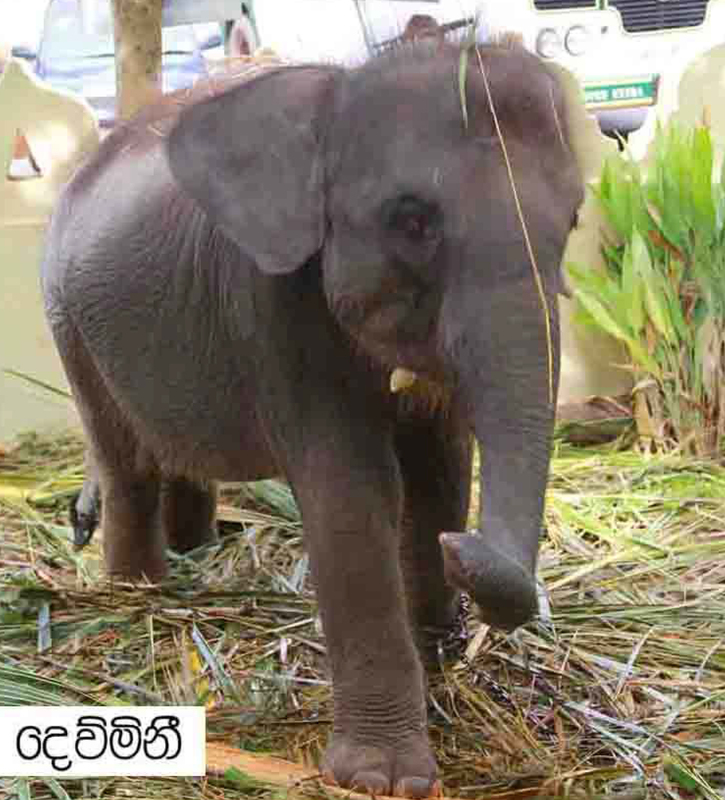 Minister of Wildlife Vijith Vijayamuni Soysa was quoted by media as saying that the elephant calves that are not registered during this period would be taken into custody and the holders would be penalized in court. Environmental Conservation Trust (ECT) alleges that 22 baby elephants have been abducted from wild during past few years. Sajeewa Chamikara of ECT shares the following list. Click below to read the complete Press Release issued by Environmental Conservation Trust (ECT). As someone whose interested on nature and write on Environment, first thing I do in the morning is browse through all the newspapers/ news channels on the web for updates. It wasn’t an easier task to browse through all news items in search of ‘Environmentally related’ news. Meanwhile, about a year ago; I came across the “Green Movement’s Blog” and subscribe to it. From that day onward, my task of following the local media for Environment News has become easier. Every morning, the Green Movement Blog sent a message to my inbox with Environmentally related news. At present Divaina, Dinamina, The Island and Daily News (online versions only) are been followed by Green Movement blog. Some of the leading newspapers that needs to pay a subscription fee to access their news are not part of the network. Yet, the blog provides lots of useful information. ..and it is the only avenue offering such a service. Now the blog contains 10,000 posts. This will be a very important feature for anyone who wants to research archive of a past news on selected categories. Some newspapers remove the content after a period of time, which will hamper further studies, but yet, this is an important feature. My help has been seek by atleast one researcher who wanted to find out how media reported on a certain subject and I had only the ‘Green Movement’ blog to recommend him. So the ‘Green Movement Blog’ is indeed a useful initiative. Sri Lanka need such an archive of Environmental News. It will be a good research tool for all. I take this opportunity to THANK all those behind Green Movement Blog for this effort. Wish if the team can bring the news from other newspapers and find a way on having a summary of all the news on ‘Green Movement Blog’ itself; so that even the newspaper removes their URLs; the information will be available on Green Movement Blog for others to see. GOOD LUCK Green Movement Blog…!! 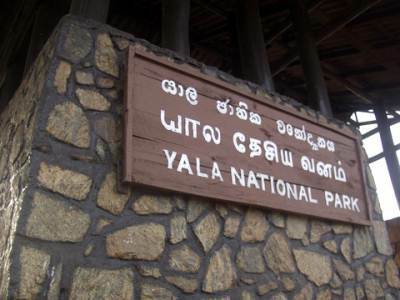 The Yala National Park will be closed for one month from today (01st of September) onward. Closing of the Yala National Park at the height of the drought has been the usual practice, however it was not followed during the last few years. In 2007 when the park was closed for the drought, the LTTE attacked the park and it didn’t reopen till the war was over in 2009. Since then Yala has never closed , till now. The custom of closing Yala for the drought started at the period Yala operated as a game reserve where hunting was allowed. During the drought, animals approach the remaining water holes; so hunting was deemed as inhumane to initiate this tradition. Even finding water for popular bungalows in Yala has become difficult during the drought, so the closing tradition has continued also with the aim of providing some relief to the park’s animals. Environmentalists have welcomed this move following claims of over visitation. Manori Gunawardena; a biologist who frequents the park calls all stakeholders to think afresh on how to tackle the issues faced by the park for the betterment not only for the animals, but also for the tourism industry. While Yala generates the highest income for a national park with higher earnings generated by foreign tourists, over visitation and indiscipline inside the park has lead to a poorer park experience for true wildlife lovers. Manori proposes to have a habitat management plan that will specifically target dispersing the visitors rather than concentrating them in particular areas and introduce a regulated road network that divides the park into sections where only one area at a time can be visited, giving all visitors an equal opportunity of observing animals in each section. 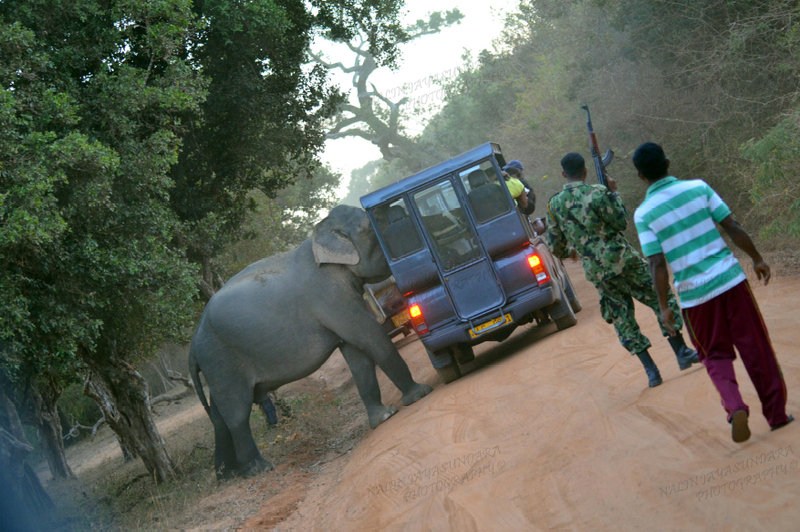 visit https://window2nature.wordpress.com/2010/10/10/shouldnt-yala-animals-get-drought-break/ for more about Yala drought breaks..!! Since the news spread that Yala’s tusker Gemunu is shot; lots of concerned wildlife enthusiasts have been commented on the issue through Social Media Channels. “Sri Lankan Wildlife” Facebook group has been a center of discussion, but these comments will soon be buried among other latest posts. So thought of archiving some of the interesting posts on my blog. But please note that these are my personal selection extracted around 11.00 pm on 20th.Aug (done in a bit of hurry), so I could be missing some other interesting messages… Please be free to “Leave a comment” on this blog post, so your thoughts too will be heard…!! Mentioned above is the best comment illustrating on what happened in Yala. Pls note that those comments marked with a ‘*’ contains more text, but shortened for giving more prominence for the main message. Chandima Gunadasa Poor Gamunu.. this must be the most terrifying moment in his life. They say elephants never forget … I only hope he does !!! Madhubhashini Jayawardena So it was Gamunu who paid the price! not the people. So Sad!! Dilshad Jemzeed Can someone tel us the purpose of having an Army camp inside Yala after May 2009? Chullante’ Jayasuriya Exactly! What is the reason for the Army’s presence in the park???? Naren Gunasekera The Army’s presence in the park is the same as why they have expanded their bases elsewhere, why the navy holds land in the east, why they build resorts in Yala and Trinco. It is a land grab, pure and simple by the powers that be. Manori Gunawardena Crux of the matter is tourism industry it’s regulatory agencies and wildlife authorities have to Reign in the mess they have created. That shot was fired because sometime in the past some one after a quick buck fed an elephant. Kusum Kumar Fernando This is wonder of Asia! !!!!!!! Elephant-rahula GunaseKera We need to use the opportunity to get people to listen, and take positive action. Elephant-rahula GunaseKera In Arizona they have special forces trackers on the border inside national parks, but they all are also wildlife officers. So if Sri Lanka wants to.keep.army personel inside parks at least request that they go through some type of training as to how to interact with wildlife. Manori Gunawardena Interesting take…..ultimately who should be held accountable for the “Gemunu incident”? Merely passing the buck to the Department of Wildlife is insufficient. This has to be tackled at Economic Development level vis a vis the Tourism Industry and its regulators. In my experience the past couple of years the industry has been less than forthcoming in engaging in sustainable solutions to manage a visitor issue which at the end of the day benefits their industry, printing a few posters and leaflets as CSR and other token gestures will only serve to gloss over the underlying issue, that yala is over visited and there are too many rooms servicing the park with more under way. This is all about being OPPORTUNISTIC! We as nature lovers waited for the right moment to get the permanent campers out from Yala and this is right time to get the army camp out from Yala. Lets everyone strive together in achieving this goal…. Naren Gunasekera What about the irresponsible jeep drivers? Kpl Perera Shooting to air just to fear the animal is not a crime!! If any unfortunate thing happened if Gemunu was not chased away, what would have been your comments? 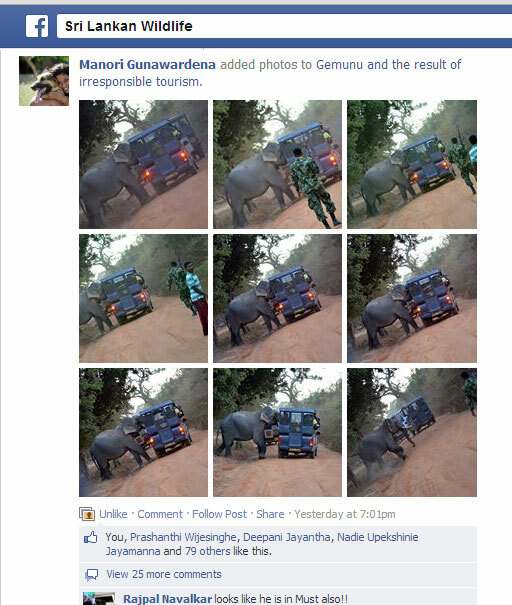 Manori Gunawardena Share widely people, this mayhem in the parks has to stop the tourism industry that touts wildlife tourism created this mess and the authorities stood idle and let it happen. Renton de Alwis I agree Manori… we need to better manage the visits by tourists (both foreign and local) to our parks. Yala, Minnariya (The gathering is a shameful free for all of vehicles too) and other …. Too many vehicles intruding on the lives of these treasures. Tourism should make it its business to join in on establishing lines of control for it may mean killing the goose that lays the golden eggs. Hisham Shums I think the problem here is not tourism but strict enforcement of the park rules and control of the number of jeeps that are in the park at one time. Yes, tourists may have fed Gemunu. The question is, why was it allowed? 1. How do we educate, control and monitor the jeep drivers? 2. How do we educate our politicians and make it clear that this nonsense has to stop? When politicians interfere unnecessarily just to ensure they win the next election, things like this are bound to happen. Blaming tourists and / or tour companies that promote wildlife in Sri Lanka is not going to help the cause. The tourists need to be made aware of the rules and regulations and the park office has to monitor and ensure that the rules and regulations are followed. This is the bottom line. Manori Gunawardena Actually tour companies are the first point of contact in educating tourists on park etiquette, but how many for example brief guests on arrival or pre safari on park rules as they do in many reputed tourism facilities internationally. 1. For small facilities like yours Hisham Shums , pick train a few drivers to work with. 2 provide a briefing on park rules to your guests on arrival at your accommodation a pre safari brief . While authorities have been lethargic enforcing rules the operators and accommodation providers have a huge role to play in how the park is serviced. These types of initiatives can be expedited. Manori Gunawardena Hisham Shums your a minority, will inbox some good guys. The primary function of the DWC is conservation now with increased visitation they have to evolve a parallel cardre to serve as guides enforce rules. DWC does not have a tourism services mandate the economic development authorities have to create one and the resources. Dyan Amodha Kannangara Imran Jabeer I was thinking the same thing, idiot would have most certainly unloaded the magazine. That f#$#%^&# jeep driver should never have stopped and at least should have driven off when Gemunu picked his vehicle. We Sri Lankans are so short sighted we bite the hand that feeds us. If the DWC can adapt similar guidelines as which to what is being followed at world’s end, then there is hope. And the DWC got to take more control of the Parks. And not count on others(ect.. Army, RDA). The up keeping of the park should be done by DWC, with trackers given supreme control once entered in to national parks. Roshan Wevita This Armed soldier must have been worried about Gemunu putting his trunk inside the jeep.. However he had no business there yet; More than him the tracker should have been concerned about the safety of visitors cos it’s his job, not a soldier’s. Peshele Randeni What we should look at is to impose the existing laws and not introduce more. Kpl Perera DWLC should impose new rules & regulations or laws banning entry of private vehicles to National Parks. DWLC should provide transport facilities by their own mode of transport or contracted services. Specialy designed buses could be utilised for this. By this scheme you can minimise no of vehicles entering parks & also visitors can enjoy safe, convenient, comfortable experience in a National Park. 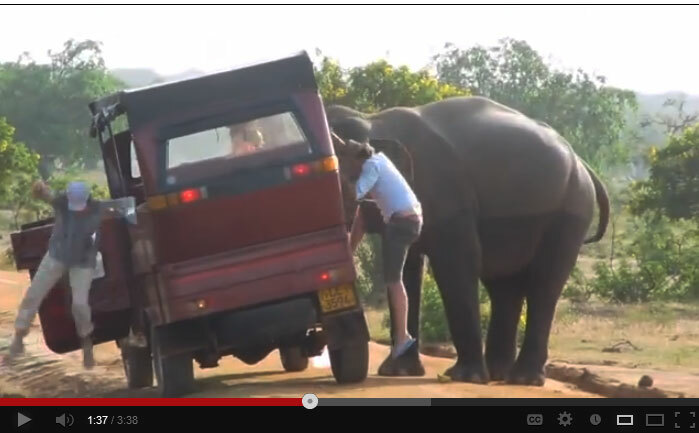 Ajith Gamage At the end….this elephant “Gemunu” will be blamed. Wildlife Dept. officials who accompany the vehicles must take the responsibility and should not allow the drivers to stop the vehicle near the elephant. This situation has created by the people. Wildlife officials and the DRIVERS OF THE SAFARI VEHICLES must act in a more responsible manner to avoid such incidents and more importantly to protect this animal. ..a video showing soldier on foot firing his automatic rifle aimed at air to scare the jumbo emerge. Luckily, Gemunu ran toward the jungle. But what if he panicked and with the fright, decides to attack the soldier…? Wouldn’t he unleash the bullets in his firearm toward Gemunu..? ..and it will be the end of another tusker. The following is statement by the Federation of Environmental Organizations (http://www.feosl.org/) with regard to the recent incident of firing of an automatic rifle in Yala National Park by a member of the armed forces at an elephant. A National Park is an exclusive space set aside for the conservation of wildlife. Therefore the protection, safety and wellbeing of wildlife within the parks are paramount and remain the primary purpose. National Parks are also national assets. Visitation should be considered a privilege. 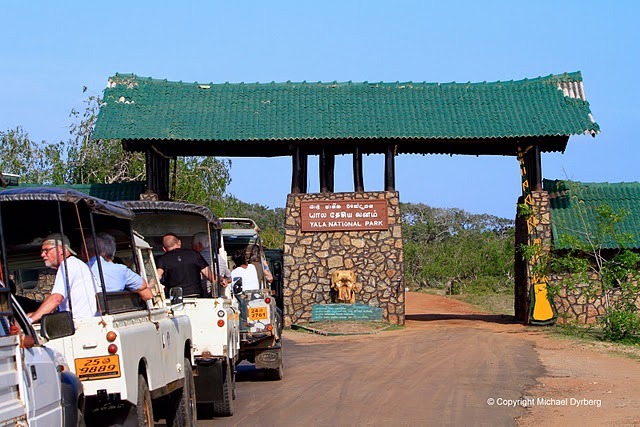 Visitors must respect this privilege Regrettably, with the rapid development and emphasis on wildlife tourism, there is an increasing trend where adherence to rules and regulations that govern visitation are not followed. Indiscipline among visitors and tour service providers is rising. Recent incidents in Yala NP that relate to Gemunu, an adult tusker, illustrate the broader and very serious ramifications of unchecked visitation. Gemunu grew up in Yala NP and is habituated to visitors. Recently visitors have begun to feed him, despite this practice being strictly prohibited under park rules. 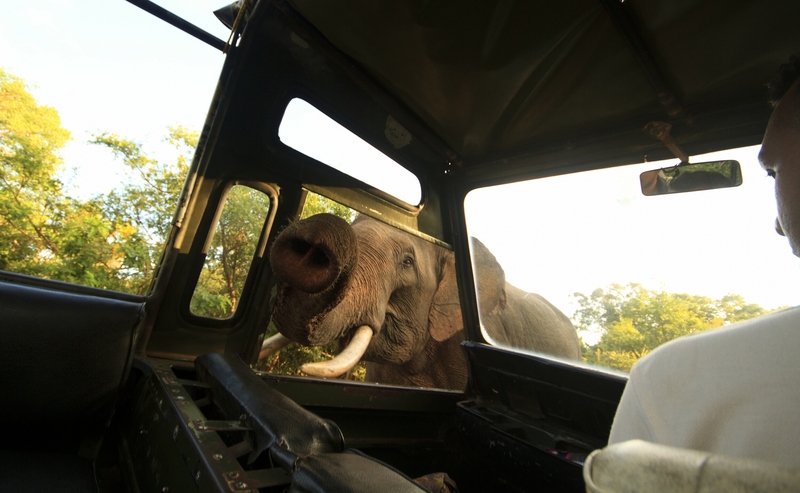 Gemunu has now started to aggressively approach vehicles in search of food, creating a potentially dangerous situation for both visitors and the elephant. On this occasion, however, a ranking army officer and entourage, on duty supervising the “Pada Yatra” pilgrimage through the Park, were amidst this melee. Photographs and video taken during this incident clearly show a soldier, disembarked from the vehicle, firing at least one shot, possibly to drive off the elephant. The Fauna and Flora Protection Ordinance clearly states that under no circumstances should a service weapon be discharged in a National Park at a wild animal, other than by a member of the Department of Wildlife Conservation. Therefore the incident is a clear violation of national park laws. The FEO strongly believes that such incidents are the outcomes of unplanned, unregulated and irresponsible tourism that threaten the protected areas of Sri Lanka. 3) together with the relevant line ministries and stakeholders develop a sustainable visitor management plan for National Parks. It is reported that shots were fired inside Yala national park to scare its iconic tusker Gemunu on saturday. Later reports confirmed that Gemunu is in good health and the shots were fired to the sky by an Army officer as Gemunu put its head to a Safari Jeep trying to grab some food scaring off the visitors in it. With Yala closure is few weeks ahead, it is interesting to know how Gemunu will response to the closure of the national Park as he will loose his snacks being looted from the safari jeeps. He may go toward Sithulpawwa temple or move toward hotels in the vicinity. There is also change that it might go toward Army Camp set up in Yala which could be dangerous. If Gemunu appear suddenly, then a panicked soldier could fire at the animal getting panicked. Shooting by a Civil Defense (Grama arakshaka) has resulted in death of iconic Kumana Cross-tusker, so something like that will be tragic. So wildlife enthusiasts warn the need of doing something as it is a ticking ‘time bomb’ or a disaster waiting to happen..!! Gemunu’s habit of getting food has been reported for a long time and still he is gentle and no violence has been reported. However he is a male elephant and at time of musth; he could anyway be dangerous. It is believed that the visitors had initially offered food to Gemunu; to make him brave now to stop jeeps and even put his trunk and head inside in attempt to loot food, if not given. The best thing you can do is avoid the elephant and If you see him in the distance, turn around and drive off. Also, seal or tie up any boxes or bags containing food; calls experts. Have you realized 5 international days that are having some Environmental Importance were fallen on last week..?? Yes, 23rd.March: Earth Hour & World Meteorological Day, 22nd. March: World Water Day, 21st March: World Forest Day and 20th March: World Sparrows Day were those special days celebrated last week. On Saturday 23rd of March two environmentally important days Earth Hourand the World Meteorological Day has been celebrated. 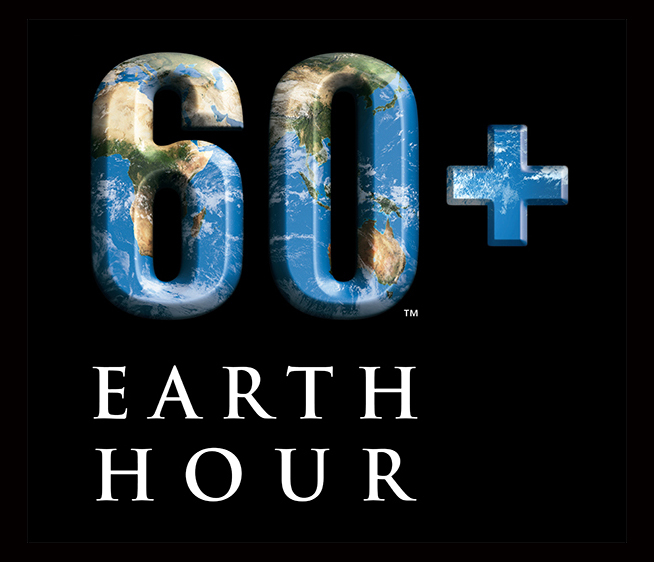 The Earth Hour was observed across the world including Sri Lanka with many switching off lights and refrain from using other power consuming devices for an hour stating at 8.30pm. Earth Hour Co-Founder and Executive Director Andy Ridley visited Sri Lanka on last January also meeting the president Mahinda Rajapakse earning support for the campaign. He started Earth Hour in 2007 mainly aimed importance of individual action to fight the Climate Change due to excessive emission of Green House Gases such as Carbon Dioxide. As of 2012, the cause has been successfully advocated in more than 7,000 cities in 152 countries, including Sri Lanka. The World Meteorological Day was also fallen on 23rd of March. This year’s them was ‘Attention towards weather for the protection of property and lives’ which became a timely subject with signs that Climate Change intensifying the extremity of otherwise normal weather events. Sad news also reported this week that a majestic domesticated Tusker has been killed by a lightning strike highlighting the importance of this year’s World Meteorological Day’s theme. The minister of Disaster Management Mahinda Amaraweera highlighted the need of upgrading Meteorology Department in facing these extremities of weather events. 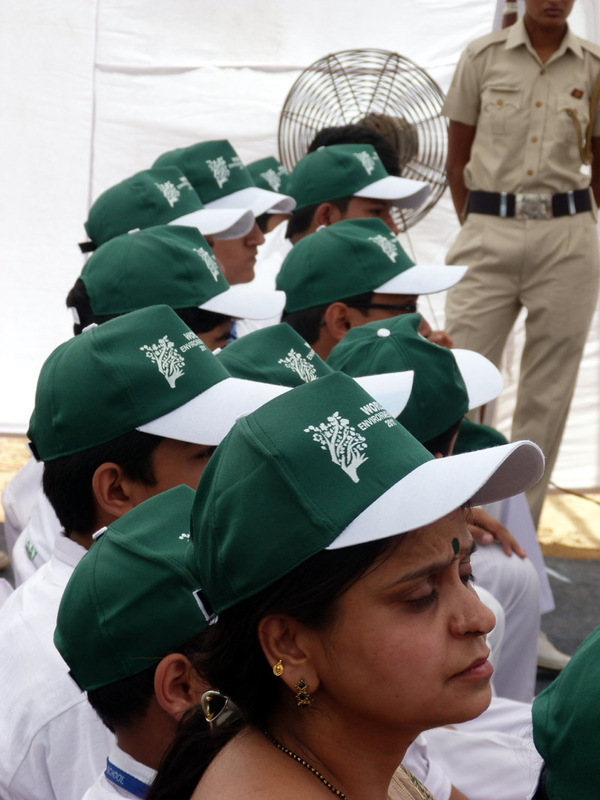 The theme of this year’s World Water Day which was fallen on 22nd of March has been the Water Corporation. The Year 2013 is also named as the International Year of Water Corporation highlighting the importance of managing water. However, managing water resources has been a hotly debated issue where on several occasions it is attempted to introduce Water Policies for Sri Lanka, but political and community pressure lead to abandon these efforts. 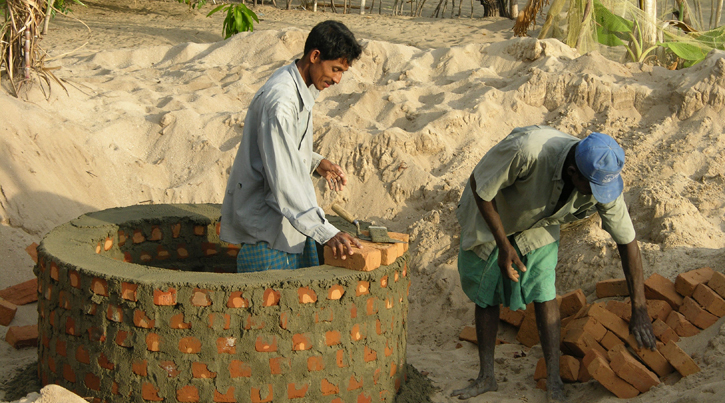 However, last year – Sri Lanka faced severe drought and then floods. During the drought, there wasn’t enough water to continue cultivations and if we had a proper water policy, this situation could have been governed and managed atleast to some point, highlights those who campaign for a water policy. 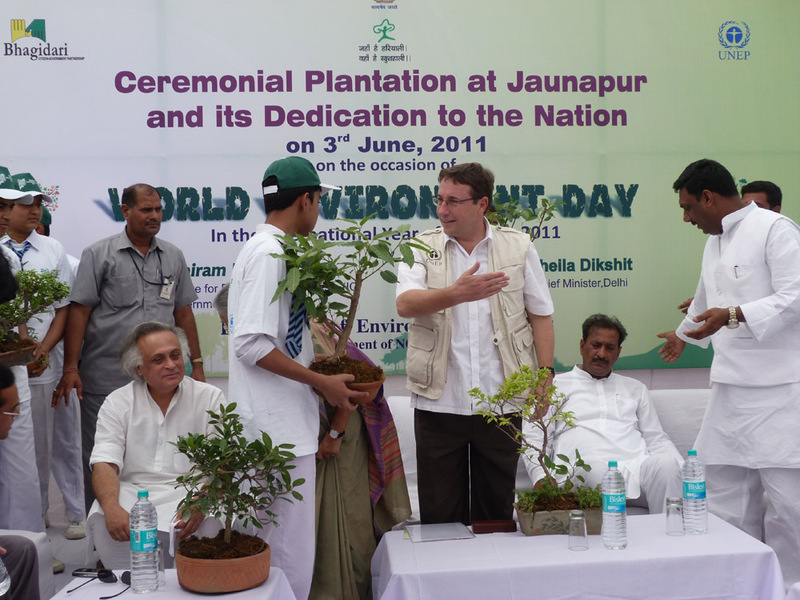 The week also marked the celebration of First-ever International Forest Day on 21st of March. 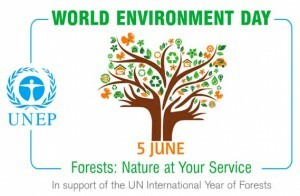 This date was agreed by the UN General Assembly in November 2012 so that every year there would be one day set aside to “celebrate and raise awareness” of forests. Sri Lanka is considered as a global Biodiversity Hotspot and the diversity of life in forests contributes much for claiming this prestigious status. Forget the little creatures inhabit in this habitats. Forests perform lots of valuable Ecosystem Services that helps to regulates lots of systems support humanity and our survival such as regulating Climate and safeguarding Watershed facility. So the day has carried a special importance for Sri Lanka. On 20th March, another day which was taking a lighter side was fallen on. It was the World Sparrows Day has been promoted by many environmental organizations in different parts of the world highlighting the perils of Sparrows. The House Sparrows known in Sinhala as ‘Ge Kurulla’ was once very common even in our households. The House Sparrows known in Sinhala as ‘Ge Kurulla’ was once very common even in our households. But they have been declined even without our knowledge. Now the ‘chirpy’ sound of this bird once common in many parts is not to be heard. Even the existing populations are declined without our knowledge. This is not a phenomena recorded only in Sri Lanka, but many something observed in many parts of the world. So the day is specially dedicated to highlight the importance of having an eye even on the common birds as there is no guarantee they would be saved. However, these days will be only meant for raising awareness. it is highlighted no matter how many days were dedicated – public and authorities need to take up the tasks to protect our environment, otherwise the results of not taking care of our Environment will impact our own survival. Let’s all be motivated to take up the challenges of not over exploiting our natural resources. Special days fallen on this week..
Last week, this blog reported about mass influx of Dragonflies that usually occurs in this period of time. This week, the fishermen got a bumper harvest from fish aggravate in coastal waters..!! to the fishermen. This is been reported mainly in Kanthamkudi and other areas in Batticaloa, but our correspondents from Beruwala too reported lots of fish been found making it maritime for fishermen. But this has puzzled general public where many fears it is a sign of an incoming disaster. SundayTimes asked the Oceanography experts to find out the reason for this phenomenon. Dr.K.Arulananthan – the head of National Institute of Oceanography and Maritime Science based at NARA said has been caused due to changing patterns of Oceanic Currents. 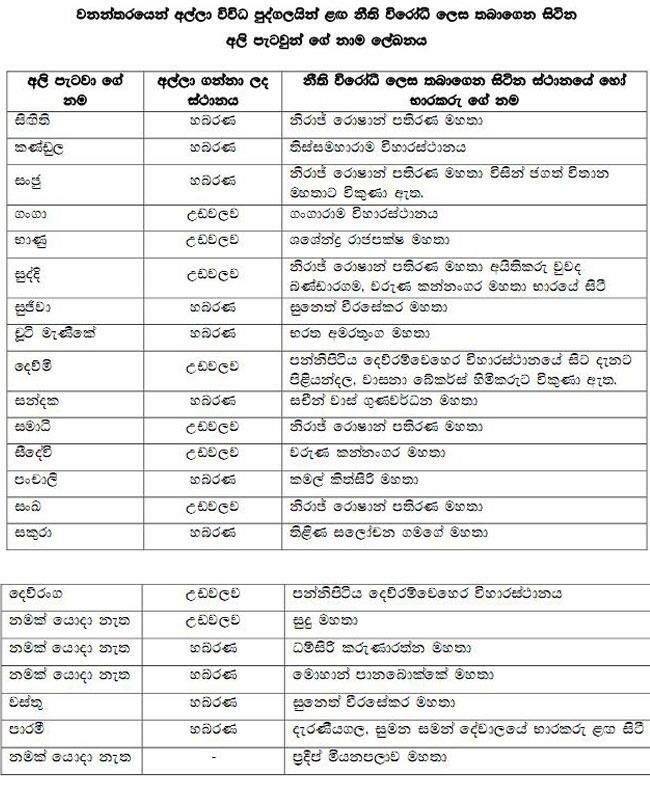 Sri Lanka is now experiencing the second Inter Monsoon Rains. According to Dr.Arul, During the South Western Monsoon, the East Indian Coastal current flows from Arabian see toward Bay of Bengal via Southern tip of Sri Lanka. But on the North-western Monsoon; the direction of this East Indian Coastal Current reverse and it happen during the Inter-monsoon season. This brings cold water from Bay of Bengal region and this change of temperature assist growing of Algae and Planktons that leads to algae bloom. Little fish gathers to feed on these microscopic plankton and even big Pelagic fish lives in open seas follows the smaller ones making this present fishing frenzy in many areas, explained Dr.Arul. The Sardines or Keeramin and Skipjack Tuna are the most notable fish gathered in numbers during past few days. The said phenomena is more applicable for pelagic fish, comments Dr.Arul. The expert also explains another possibility of getting some of the dead fish washed ashore. The Algae is also perform Photosynthesis which consumes the Oxygen in the water. In the waters where Algae bloom, the fish find lack of Oxygen and many dies. Some of these dead fish washed ashore while others sunk deep down to bottom. The decaying bodies of fish at the bottom deplete the Oxygen in that region which affect the bottom dwelling fish like Eel or Ray fishes. This year Sri Lanka experienced a delayed South West monsoon and perhaps these climatic changes aggravated the differences of the oceanic current to make it more observant. However, Dr.Arulananthan calls it is a normal phenomena and nothing to worry. But the Climate Change may bring more such abnormal changes of weather patterns that leads to phenomenas like this in the future fears the experts. Many fears that this could be bad omen remembering that just before 2004 Tsunami, loads of fish aggravated in similar manner. Dr.Arul reminding that Tsunami came in December and this phenomenon of changing of East Indian Coastal Current occur during October or November that could have triggered fish aggravation in 2004. He also says the underwater earthquakes might make bottom dwelling fish lives in the deep to migrate to other regions in sea via Oceanic currents, but the fish caught during last few days are not abnormal species, but the common ones usually found in our oceans. However, it is interesting to know that how the changes of climatic patterns effects the animal behavior as only last week SundayTimes reported about a Dragonfly Migration that follows Inter Tropical Convergence Zone which falls on the same time period across Sri Lanka. 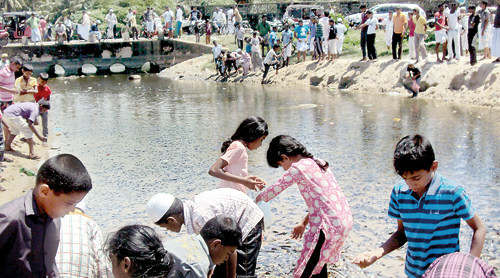 Meanwhile a large scale of fish deaths was also reported in Beruwala. Hundreds of fish were found dead in a stream called ‘Sellie Ela’ according to NARA sources. This waterway is getting full with water brought in by rain and the nutrients brought in with water increased the algae growth making an algae bloom. Dr.Rekha Maldeniya of NARA said when that the algae emits oxygen during day time when doing photo synthesis and emit carbon dioxide at night while absorbing oxygen in the water. So this deplete the Oxygen in water killing the fish. It is also reported that the water in this ela is now turned into blackish, and Dr.Maldeniya said it is due to died algae. These algae when dead can emit toxics which cause the death of fish. Dr.Maldeniya said these 2 factors were the reason for Beruwala fish death. Some of these dead fish ended up in the sea. A new scientific study shows that Climate Change will shrink the size of fish by 14-24%. This too links to the level of Oxygen in the water where scientists say the increase of temperature will reduce the Oxygen in the water. The researchers have studied change of body size of some 600 species based on models between 2001 and 2050. The fish stocks around the world are already being depleted due to overfishing. Climate Change due to global warming will also make the ocean acidification that impacts the fish and this study will be another blow. The researchers pointed out that worst impact could be observed in the tropical regions, so countries like Sri Lanka will be expected to be badly effect. 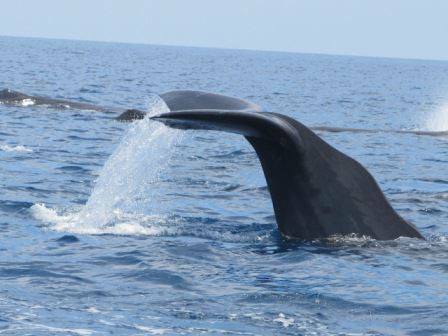 An aggregation of over 100 Sperm Whales in seas around Kalpitiya left many onlookers puzzled. This unusually large aggregation was first recorded around the Bar Reef area of Kalpitiya. 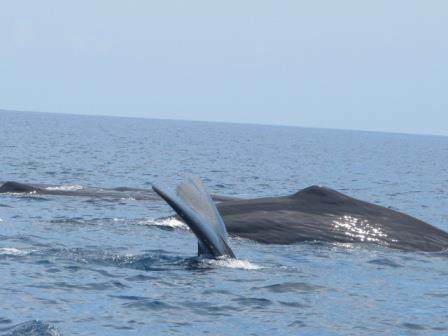 Upali Mallikarachchi of Marine & Coastal Resources Conservation Foundation who witnessed the large gathering last weekend, said, these Whales were seen swimming North on Saturday. Whales are capable of sensing sound under water, and there is also speculation that sound waves and shock waves generated by the underwater earthquake last week, could trigger this sudden aggregation. Another phenomenon is underwater drilling during oil exploration too could have an impact. The whales eventually dispersed by breaking into few groups, said naturalists who had gone to observe this unusual gathering. A mature Sperm Whale male can grow to 20.5 metres (67 ft) long. The block-shaped head of the Sperm Whale is one-quarter to one-third of the animal’s length which makes it easier to identify. 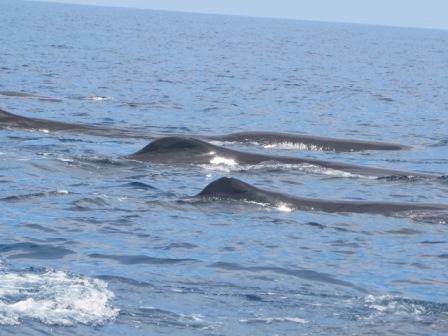 Large aggregation of Sperm Whales has been recorded even in the past, but the timing of this gathering also puzzled the Whale Watchers. But marine biologist and whale expert Asha de Vos says that large aggregation of whales is not that uncommon. Tropical waters are the ideal habitat for maternal groups of Sperm Whales, and sometimes, maternal groups come together, enlarging the aggregation. Asha says that, in the past, she has also seen areas where there were about 40 whales. However, many whale watching operators say they feel an unusual increase in whale sightings leaving questions for Marine Biologists. What is the difference between a ‘Tsunami Watch’ and a ‘Tsunami Warning’? Should we panic for Tsunami WATCH..?? The oceanic Earthquake of magnitude of 8.7 near Sumatra occurred at the worst possible time for Sri Lankan who are getting ready for Avurudu. Tsunami sirens were activated and evacuation orders were issued immediately. “At the time of a Tsunami WARNING only, the public should be informed of the ensuing danger by sirens and the emergency broadcast system” as per the http://www.tsunami.org.. But yesterday, sirens were activated and evacuation orders has been issued for a mare Tsunami WATCH..? Perhaps there should be 2 levels of Tsunami Sirens- 1 for Tsunami WATCH and the other for Tsunami WARNING. Here is the extract from http://www.tsunami.org/faq.html on differences between a Tsunami WATCH and a Tsunami WARNING. “a Tsunami Watch is automaticaly declared by the warning centre for any any earthquake having a magnitude of 7.5 or larger on the Richter scale and located in an area where a tsunami can be generated. Notification of Civil Defense agencies begins, followed by limited public announcements by the local media. Data from sea level gauges is awaited for confirmation of the actual existence of a tsunami. Reports on wave activity from the locations nearest to the earthquake epicenter is requested by the warning center. If there is no observed tsunami activity, the Tsunami Watch is canceled. A vehicle has been caught while transporting 50 kilograms of cannabis at Sella Kataragama by the Special Task Force (STF) last week. The cab had a fake name board indicating it belongs to the Secretary of the Ministry of Rehabilitation and Prison Reforms to avert security checks. It is also reported that the vehicle belongs to a local politician in Embilipitiya and this highlights the local politician’s involvement in this illegal cannabis industry. trade. Large areas of forests in these areas are cleared for cannabis chenas and it is a well-known secret that they have the local politicians’ blessings. This makes it more complex and though few raids occur once in a while, the illegal cannabis trade continues unabaited in these areas as per the local sources. 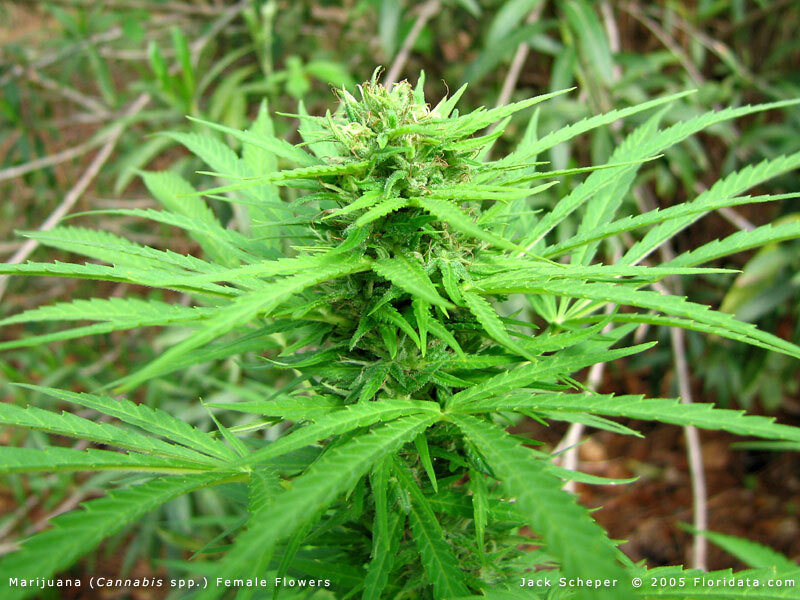 These cannabis chenas are usually located in the thick jungles. Forests in Udawalawa area and less visited areas in Yal a National Parks are said to be in the clutches of the cannabis mafia. The Department of Wildlife Conservation too has been involved in raiding these illegal cultivations and lately STF too has joined this fight. Experts also pointed out the possibilities of using technology to spot the cannabis chena using satellite maps. Even the freely available Google Earth can be used in this purpose as it indicates the cleared areas where tree cover is removed. 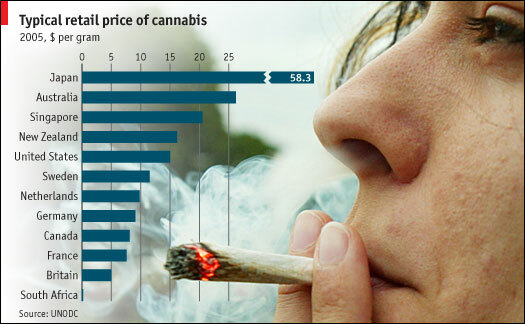 So if there is a real willingness, the cannabis fight can be won – but the involvement of local politicians are making it hard. Last week in Deniyaya, a local politician has also initiated constructing a road adjoining the Morning Side of Sinharaja, indicating they do not respect the environment – but encourage clearing the forests for short term gains. 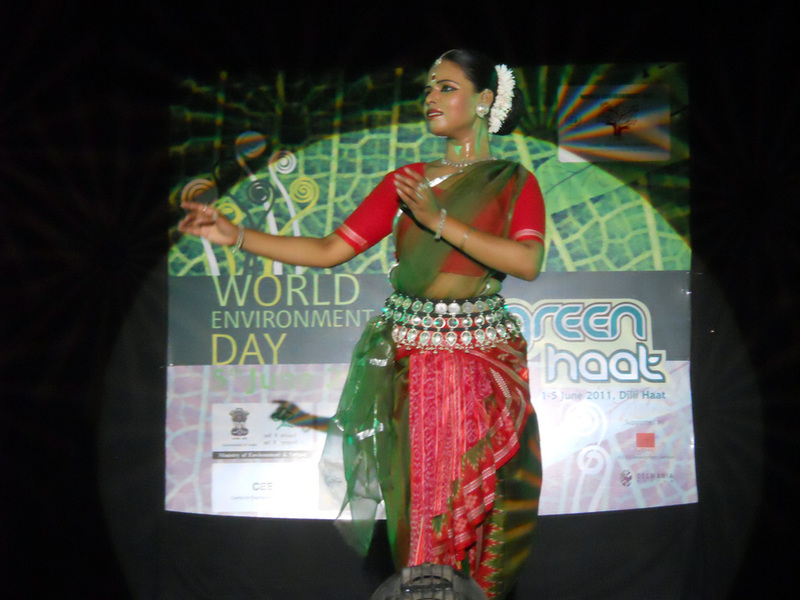 Let’s paint our world Green..!! 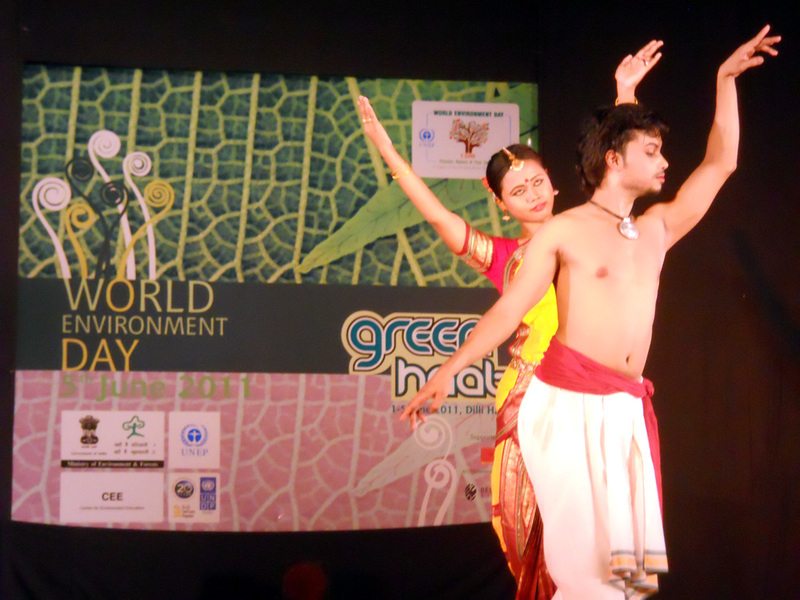 The World Environment Day (WED) global celebrations were held in India on 5th of June this year. 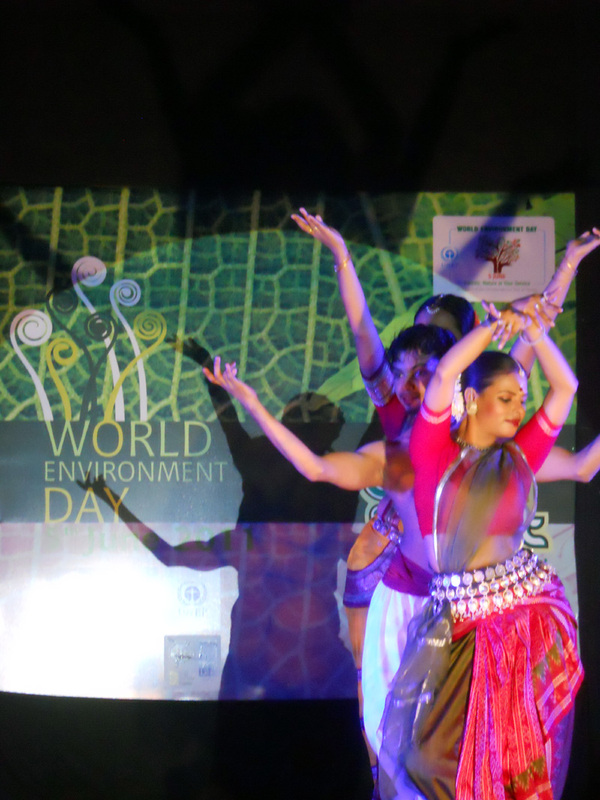 To mark the event a meaningful song was compiled and shared with the world by the United Nation’s Environment Program (UNEP). 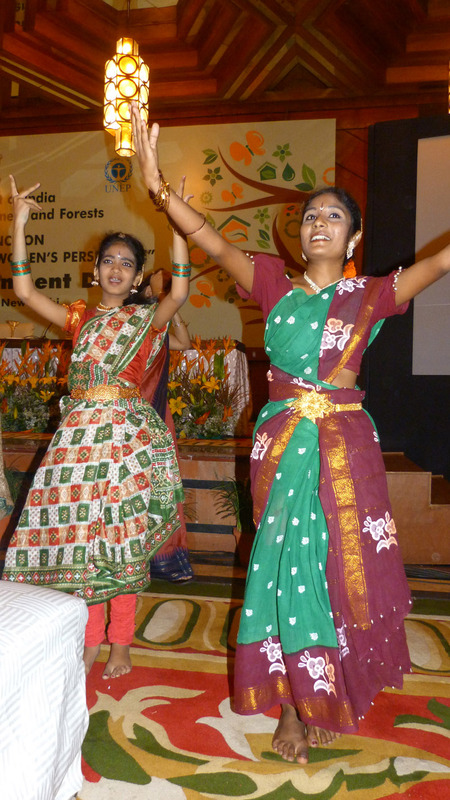 Following is the English translation of meaningful lyrics and a dance performed by two Indian girls for the beautiful song..
“The Color of Life” is a lyrical appeal, an emotional urge to refresh and breathe life into our world that is losing its green cover. It’s a song that celebrates nature through its vibrant color, capturing and remembering those refreshing moments that touch our senses. Inspired by India’s vibrant spiritual heritage, the song is a heartfelt tribute to the ‘Spirit of Green’ that is deeply embedded in our consciousness and in our senses. It’s about coloring every emotion with the omnipresence of green. The song internalizes Nature and reminds us of the beauty, the splendor and fragrance of the green that embraces us. When we look deep within, we shall find our hearts beat for the lush green forests, because every breath, every touch, every feeling is connected to Nature. 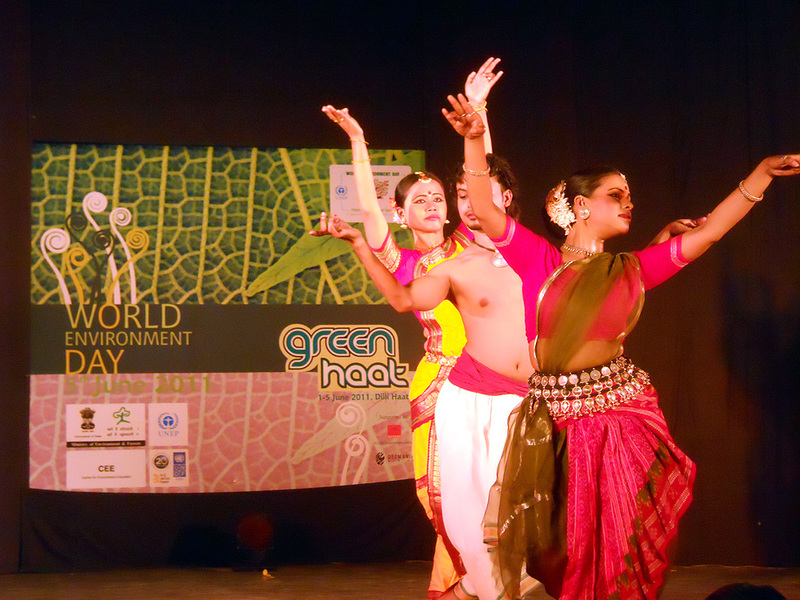 Inline with World Environment Day, a traditional dancing event was held at Delhi Maart. The dance was done for the rythms of the nature..!! 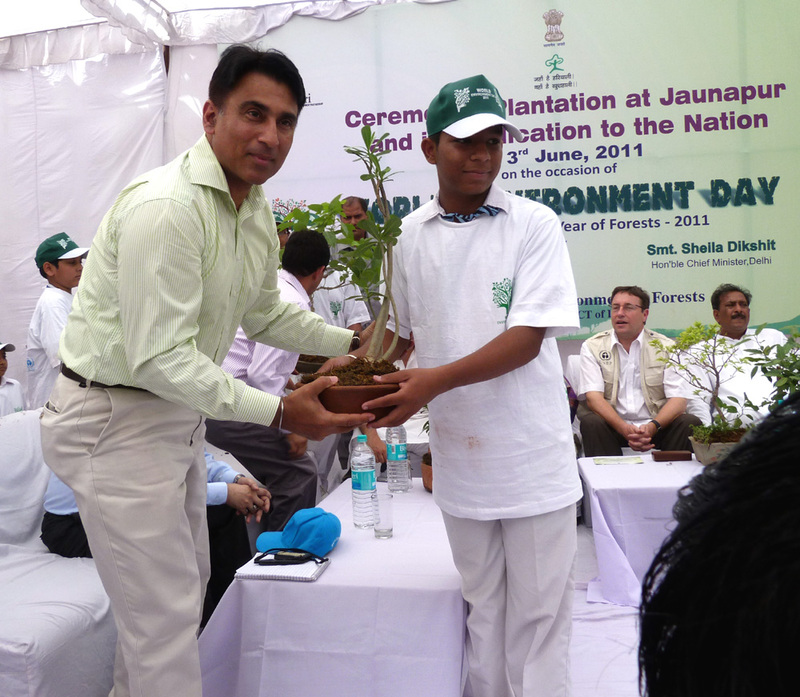 India has been the host country of the World Environment Day (WED) 2011. 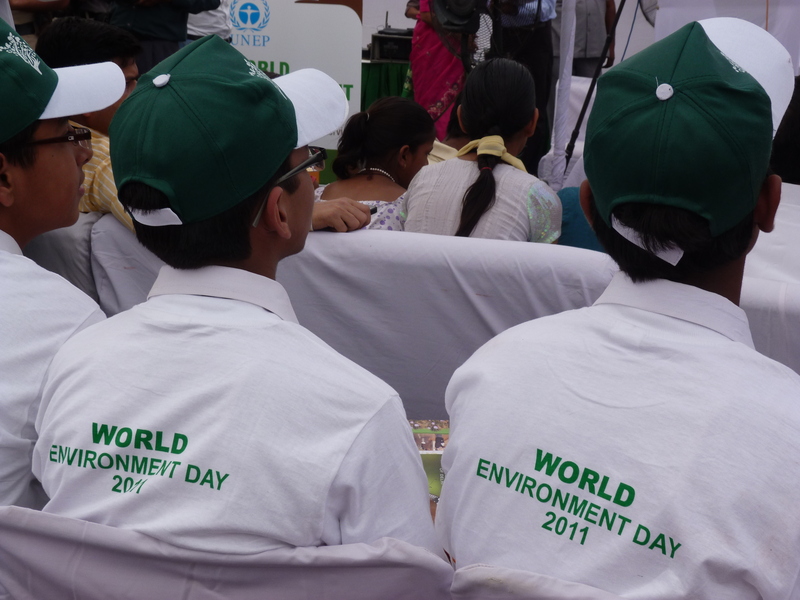 Inline with this, UNEP has conducted many programs in New Delhi together with the Indian Environment Ministry. 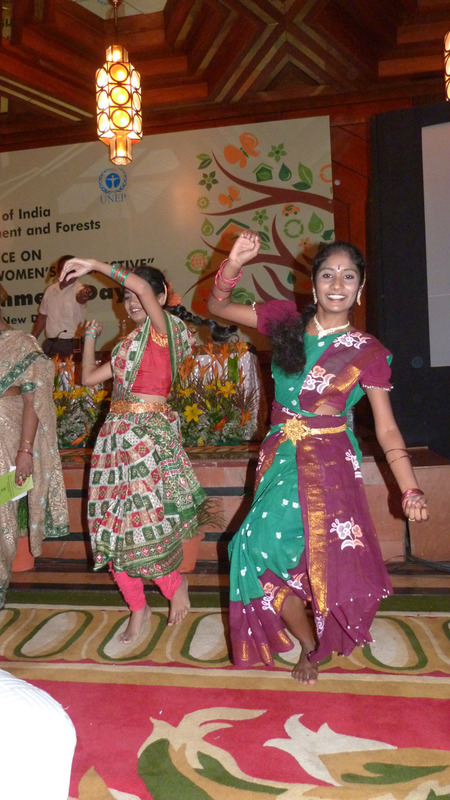 The theme this year was “FORESTS: Nature at Your Service”. Following are some of the moments captured during these events…!! It was Avurudu day, April 14. 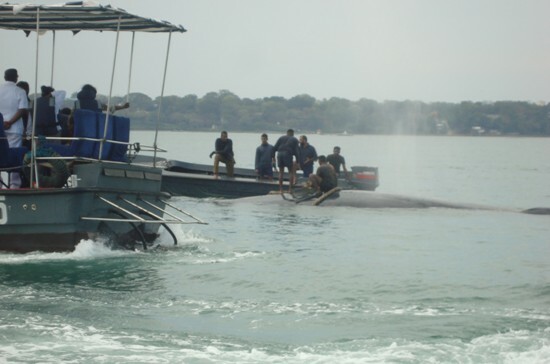 Whilst their fellow Sinhala and Tamil countrymen refrained from work during the Nonagathaya, Navy sailors and officers in the Inshore Patrolling Craft (IPS) had to conduct their routine check within the Trincomalee Harbor area. It was around 10.30 am when a sailor spotted something like a submarine moving towards the harbor. He alerted the rest of the team and all eyes were on the moving object through binoculars, while the craft was maneuvered towards it. Suddenly a sprout of water shot up from the surface. “It is a whale” cried a sailor recognizing the unmistakable trail a whale leaves when they breathe. “There is a whale approaching the inner harbor”, the message was quickly radioed to the operations room at the Naval Base. 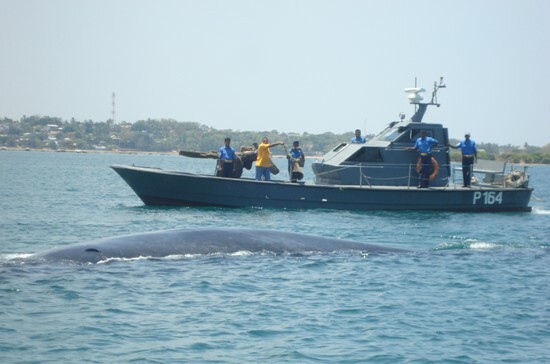 The whale was about 10m long and identified as a Blue Whale by naval officers who were experts on these marine mammals. The blue whale is the largest mammal in the world that can grow up to 33 meters. Hence, it is believed that the whale stranded in the harbor was a young one. Though young, it would still weigh several tons and if grounded, it could be difficult to pull it back. The whale was fast approaching the shallows of the inner harbor. Commander- Eastern Naval Area, Rear Admiral Jayanath Colombage too was alerted, and he had ordered that necessary measures be taken to guide the giant mammal towards the deep sea. The sailors navigated their craft trying to block the whales’ path, but the whale appeared to be lost and seemed reluctant to turn back, continuing on its suicidal mission. Recognising that time was running out, more boats were deployed in an attempt to block the approaching whale. But the whale dived to avoid the naval blockade and continued moving towards shallow waters in a cat and mouse game. This wasn’t the first time that Trinco Harbor had whales inside it. In April 2009 and 2010, there was a pair of Blue Whales within the harbor. But that time it wasn’t this hard to chase the stranded pair back to deeper waters, before they entered the shallow end of the harbor. The attempts at dissuading the whale seemed to be in vain, when ultimately it reached a shallow corner of Trinco harbor. The whale was now only partly submerged with part of its body above the surface. These oversized mammals when stranded in shallow waters, can crush their internal organs like their lungs, by their own weight, resulting in their death. So time was running out for the whale with its survival dependant on the actions of the navy team. It was now around 2.30 pm, and while others were busy participating in Avurudu rituals, this group of sailors continued their struggle with the whale. “Can’t we tow it back to deeper waters..?” an officer suggested. There wasn’t much time left to think, so the decision was taken to attempt the mammoth task. Last year, a naval team also towed an elephant stranded in the sea, but this blue whale is several times bigger than the giant of the land. Five navy divers were immediately assigned for the rescue mission to try and tie a rope around the giant. A group of them managed to put a rope around the whale’s tail section. They then tried to drag it to deeper waters, but the whale was too heavy. The rope broke for the weight. More time lapsed for the Navy divers to tie another rope. This time a trawler was used. but the giant started pulling it. Even though exhausted, the panicked whale had enough strength to even to pull this large boat. In the attempt to pull the giant, the second rope too broke. This time a stronger python rope used to pull ships was used. A diver climbed on top of the slippery giant while others got the rope around the whale’s belly underwater. They were careful not to injure the whale that was now exhausted with the struggle, and secured the rope across its fins. Realizing that the whale was too heavy for a single boat, this time two boats were deployed to pull the giant. There was no movement initially, but slowly the power of the two boats gradually overcame the giant mammal’s weight. The engines raised to their maximum started heading toward deeper waters. Fortunately, the exhausted whale didn’t struggle this time, but the boats had to pull it quickly, as otherwise the whale could die by suffocation, if it panicked and could not breathe. So the naval team had to act quickly. After pulling the giant for about 15 min, they reached deeper waters outside the harbor. 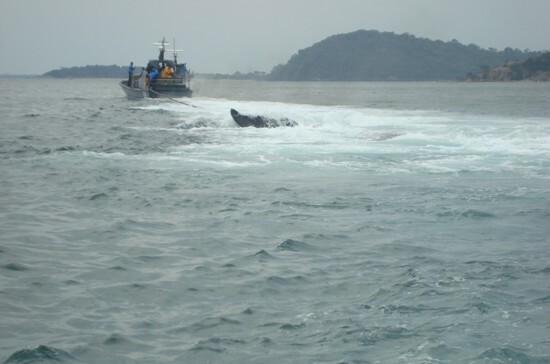 The rescue mission had taken about five hours and the whale was exhausted. But it had a companion waiting in deeper waters looking for its colleague. Naval officers believe this is the mate of the stranded whale that used to enter the harbor last years too in April. After the reunion, the whale regained its energy, and with a swift dive, as if to thank its rescuers, the whale dived with its mate and disappeared. Though the Navy officers at the Trinco base missed their Avurudu, they were thrilled to have saved a life. What better way to celebrate New Year sharing their kindness..!! What makes a whale beach itself? Most Marine mammals known as cetaceans use their own form of sonar and are sensitive to the Earth’s magnetic field – they use both of these to navigate and find their food. Several things can affect these otherwise amazing skills. Navigation error – whales and dolphins sometimes get lost as they use the Earth’s magnetic fields to navigate the seas. There are a number of things (that we don’t yet fully understand) that may cause the animals to become confused, causing them to misread these magnetic lines and become lost. Noise pollution – anthropogenic (human-made) noise from drilling, dredging, shipping, offshore developments and seismic surveys can cause disorientation and distress. Some species of cetaceans are very social animals and travel in family groups following a dominant leader. Tragically, if the group leader is sick and swims into shallow water, all the others may follow and become stranded together.